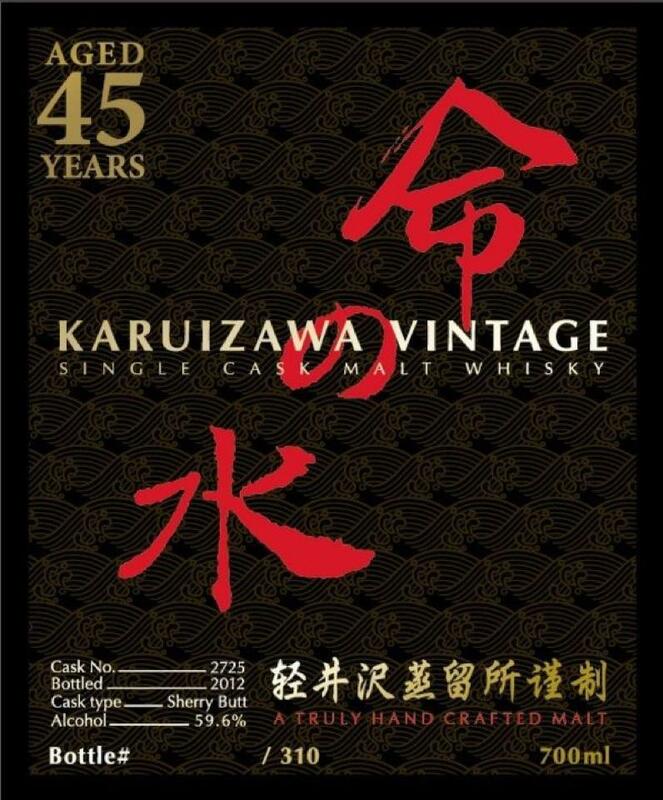 We’re continuing our ‘Karuizawa bottlings for Taiwan’ series with two single casks that were bottled at the grand old age of 40 and 45, respectively: 1972/2012 cask #8833 (55.9%, 267 bottles) and 1967/2012 cask #2725 (59.6%, 310 bottles). The colour (dark mahogany – the 45yo with a slight ‘candy apple red’ shade) and consistency (incredibly thick, syrupy and oily) would lead you to believe they’re very similar, but with well-aged Karuizawas you’ll find that instead of smoothing out differences, time has a way of bringing out and developing individual quirks in the whiskies. On the nose, the 40yo offers walnut bread, toasted almond flakes, marzipan, pumpkin seed scones, golden raisins, dry sherry, maraschino cherries, orange peel and subtle hints of grilled zucchini, white asparagus and rosemary focaccia. The 45yo is very different. Here we have aged balsamico, figs, old leather-bound books and old chapels, but also plum jam, prune chutney, stewed berries and a gorgeous mimolette cheese note. If you really give it time, you may even find something akin to bacon-wrapped parmesan-stuffed dates. Incredibly voluptuous. On the palate, the 40yo is an avalanche of citrus notes: pummelos, Moro blood oranges, Satsuma mandarins… but perfectly balanced by sweeter elements (honey, propolis candy, cough syrup). The finish is long, on white pepper, cloves, then – for the first time – wood notes coming through really gently and, after a while, a hint of brandied cherries. The 45yo is more dense in terms of flavour, more concentrated: prune juice, hazelnuts, mince pies, chocolate orange peel, pine resin, liquorice and a lovely tangy ‘sudachi’ note, which – I have recently discovered – is a sort of signature note of very old Karuizawas. The finish? Well, there is no finish, it just goes on and on and on… It’s mouth-coating to the extent that it will just stay with you for hours after, which - in a case like this – is exactly what you want, believe me. The 45yo doesn’t need any water at all, but with the 40yo, a few drops enhance the sweetness, both on the nose and the palate. They’re both exceptional malts, but the 45yo is really in a league of its own. You can spend hours with a dram of this and feel like the luckiest person on earth – no question about it. If you see this – and chances are slim because people in Taiwan love their old sherried malts – this is one bottle worth breaking the bank for. where in taiwan will this be sold? I'm pretty sure they're both sold out already. With these sort of Karuizawas, you have to be really quick. 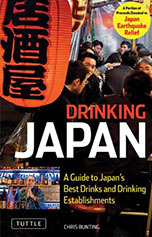 But maybe some of our readers in Taiwan can confirm this. Good question... but I can't say too much at this point. 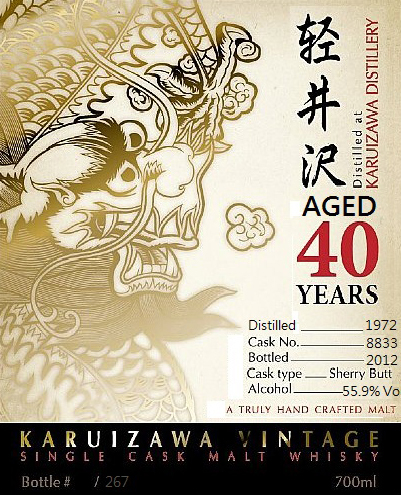 Before we release another Karuizawa, we want to release a few bottles from different distilleries. Keep following us (especially on Facebook) where we like to advertise these sort of things first! Thanks for the interest. No spoiler, but any clue of what distillery will be the next one ? Really good work with the Karui by the way, I enjoy my bottle ! The 40YO one has been sold out for sure. 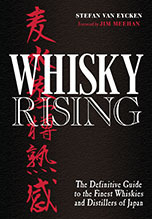 The 45YO one was first pre-sale in the last Taipei Whisky Live, and officially released back in Jan/Feb 2013.